Tree-ring records can provide valuable information to advance our understanding of contemporary terrestrial carbon cycling and to reconstruct key metrics in the decades preceding monitoring data. The growing use of tree rings in carbon-cycle research is being facilitated by increasing recognition of reciprocal benefits among research communities. Yet, basic questions persist regarding what tree rings represent at the ecosystem level, how to optimally integrate them with other data streams, and what related challenges need to be overcome. It is also apparent that considerable unexplored potential exists for tree rings to refine assessments of terrestrial carbon cycling across a range of temporal and spatial domains. 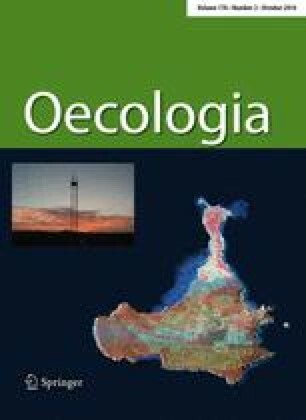 Here, we summarize recent advances and highlight promising paths of investigation with respect to (1) growth phenology, (2) forest productivity trends and variability, (3) CO2 fertilization and water-use efficiency, (4) forest disturbances, and (5) comparisons between observational and computational forest productivity estimates. We encourage the integration of tree-ring data: with eddy-covariance measurements to investigate carbon allocation patterns and water-use efficiency; with remotely sensed observations to distinguish the timing of cambial growth and leaf phenology; and with forest inventories to develop continuous, annually-resolved and long-term carbon budgets. In addition, we note the potential of tree-ring records and derivatives thereof to help evaluate the performance of earth system models regarding the simulated magnitude and dynamics of forest carbon uptake, and inform these models about growth responses to (non-)climatic drivers. Such efforts are expected to improve our understanding of forest carbon cycling and place current developments into a long-term perspective. Communicated by Russell K. Monson. This work was supported by the Swiss National Science Foundation (Grant PBSKP2_144034) and the US Department of Energy (Grant DE-FOA-000749). O.B. acknowledges funding from project FP7-ENV-2009-1-244122 GHG Europe. The authors thank Patrick Fonti and Gregory King for preparing the thin sections shown in Figs. 2 and 4. We also thank Russell Monson and Alicja Babst-Kostecka for their helpful comments and support. We apologize to all authors whose relevant studies could not be cited.